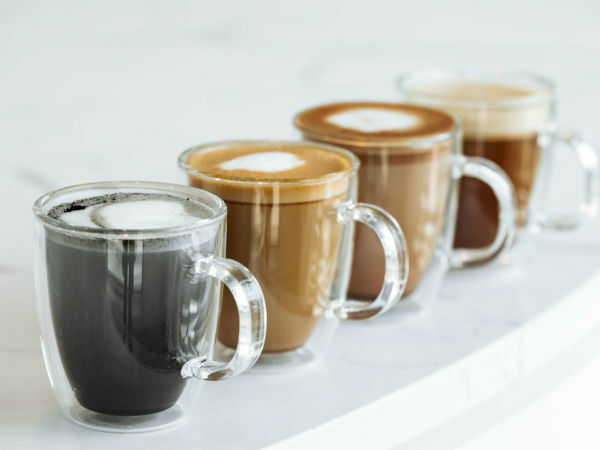 Editor's note: CultureMap Houston editor-in-chief Clifford Pugh is a longtime fashion journalist who shares his personal experience with the late Oscar de la Renta and the designer's impact on American fashion. An Oscar de la Renta runway show is always a highlight during New York Fashion Week. The clothing is remarkably crafted and frightfully expensive; the setting is civilized, without the hordes of hangers-on at many other fashion shows: the models are gorgeous; and the beloved designer with a perpetual tan, impeccably dressed in a suit and tie, always shyly takes a bow at the end that is so quick that if you look away for a split-second you miss it. So, naturally, there was a buzz of excitement about the showing of his collection on September 11, 2001. But terrorists struck the World Trade Center that day, and de la Renta, of course, canceled his show. 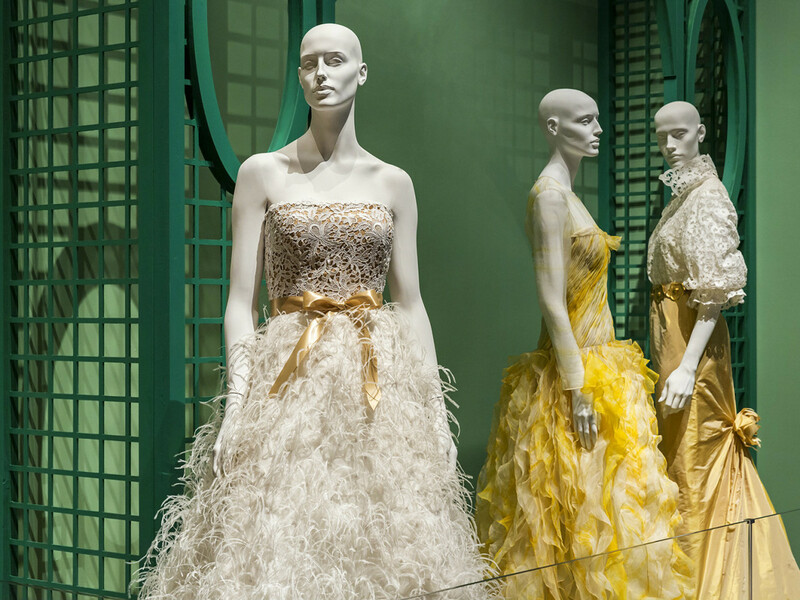 De la Renta was the go-to designer for Laura Bush during the first decade of the 21st century. He also designed Jenna Bush's wedding gown. "With what happened, showing a collection is of such little importance," he told me a few months later as we traveled in the back of a limousine from Bush Intercontinental Airport to the Museum of Fine Arts, Houston, where the collection was shown for the first time after the attacks. "But nevertheless we had a feeling of defeat in a sense. "You work so hard to try and put something together, and then it did not happen. It's like a movie without an ending." 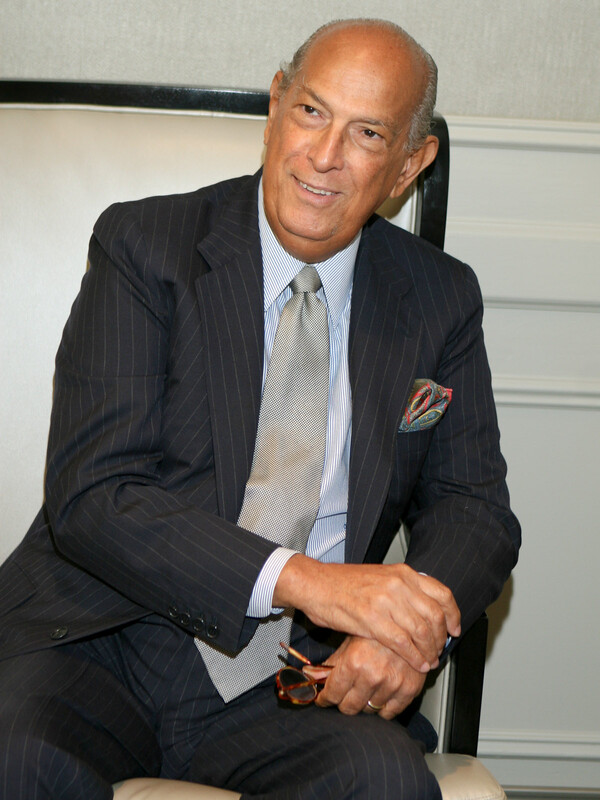 As I wrote while working for the Houston Chronicle at the time, "[De la Renta] was so eager to see how the collection looked on a runway, with the same Caribbean backdrop and music planned for the original presentation, that he hopped a plane to Houston, saw the show, which was presented by Saks Fifth Avenue, and returned immediately to New York. 'This is the busiest time for me,' he explained." 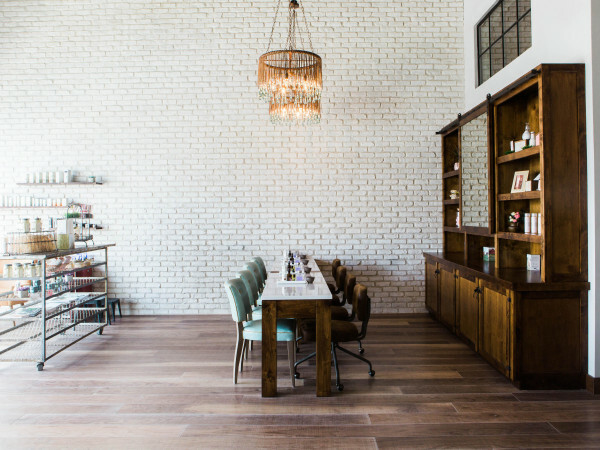 During his few hours in Houston, de la Renta charmed the audience, mingling with good friend Lynn Wyatt and other Houston women who are loyal customers. Then he was on his way, content that fashion could survive dark times and remain relevant with a picture-perfect movie ending. 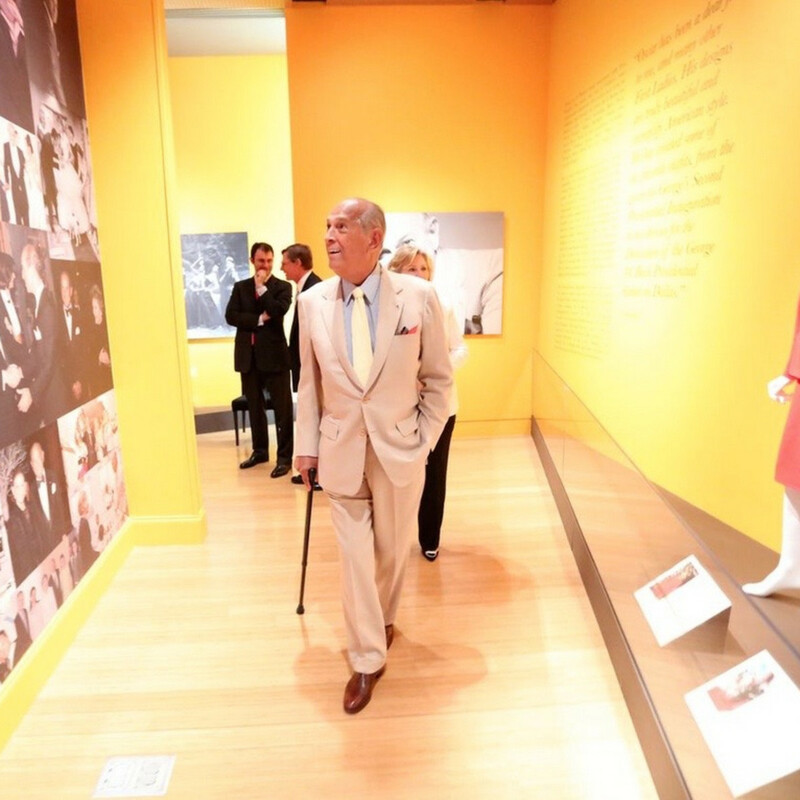 De la Renta died October 20 at his Connecticut home after a long bout with cancer. He was 82. The fashion world is mourning him while also celebrating his outsized impact on American fashion. In a career that spanned more than half a century, de la Renta was the favorite of first ladies on both sides of the political spectrum as well as social lionesses in Texas and across the nation. He was the go-to designer for Nancy Reagan in the 1980s and Laura Bush during the first decade of the 21st century, designing the winter white cashmere coat and matching dress that she wore to her husband's 2005 inauguration as well as the beaded gown she wore to inaugural balls that night. De la Renta also designed Jenna Bush's wedding gown. "A woman knows that putting on lipstick and dressing and looking pretty in the workplace is important. And that is what I have always done best," de la Renta said. 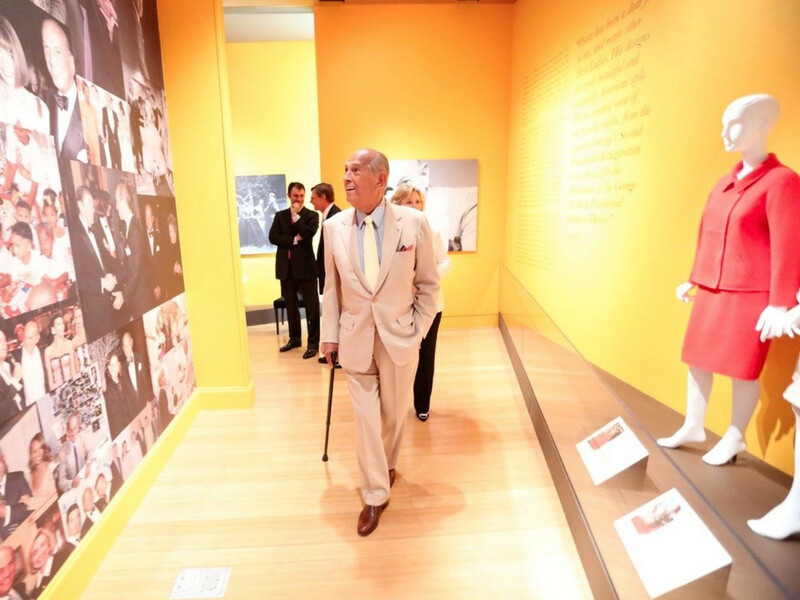 Retrospectives of de la Renta's work have been shown at the Clinton Presidential Library in Little Rock in 2013 and at the George W. Bush Presidential Library in Dallas, where the exhibit closed October 5. Recently, de la Renta also made headlines when Amal Alamuddin wore a custom-designed Oscar de la Renta gown when she married George Clooney in Venice. And after six years in the White House without wearing a de la Renta creation, first lady Michelle Obama recently made a fashion statement in a black cocktail dress with blue embroidery from a recent de la Renta collection at the White House Fashion Education Workshop before many of the designer's peers. Throughout his storied career, Houston's social set continued to remain some of his biggest fans. Diane Lokey Farb and Pat Breen were regulars at his New York shows; Noelle Sakowitz, the daughter of Robert Sakowitz and Laura Sweeney, is de la Renta's textile development supervisor. 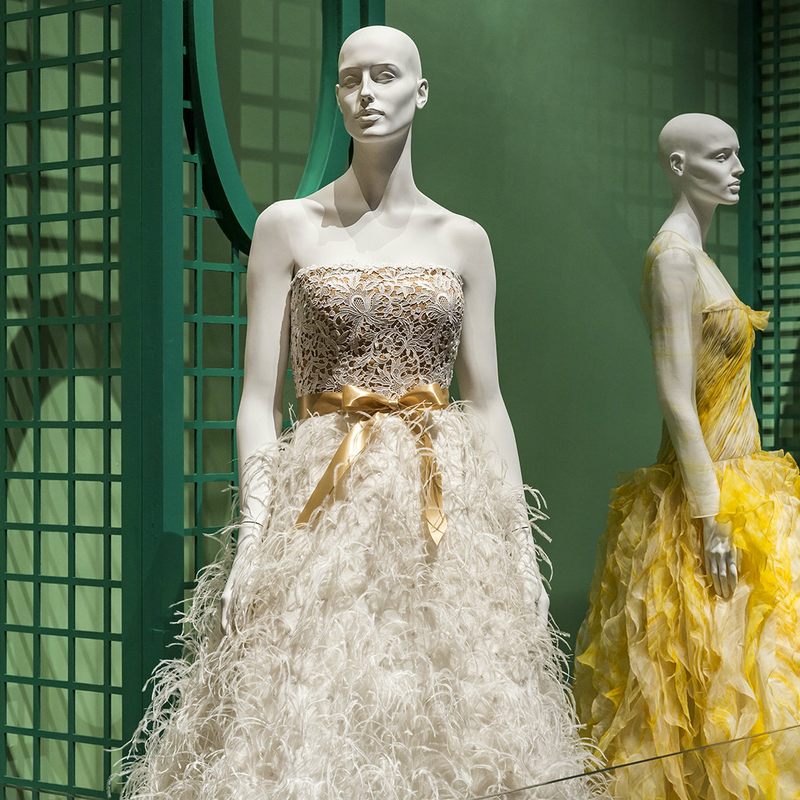 Young Houston designer Amir Taghi interned in de la Renta's New York studio one recent summer. At every big Houston gala, a sizable contingent of women wouldn't think of wearing anyone else but Oscar. He is so popular in the Bayou City that at one gala, three women showed up in the same Oscar gown. 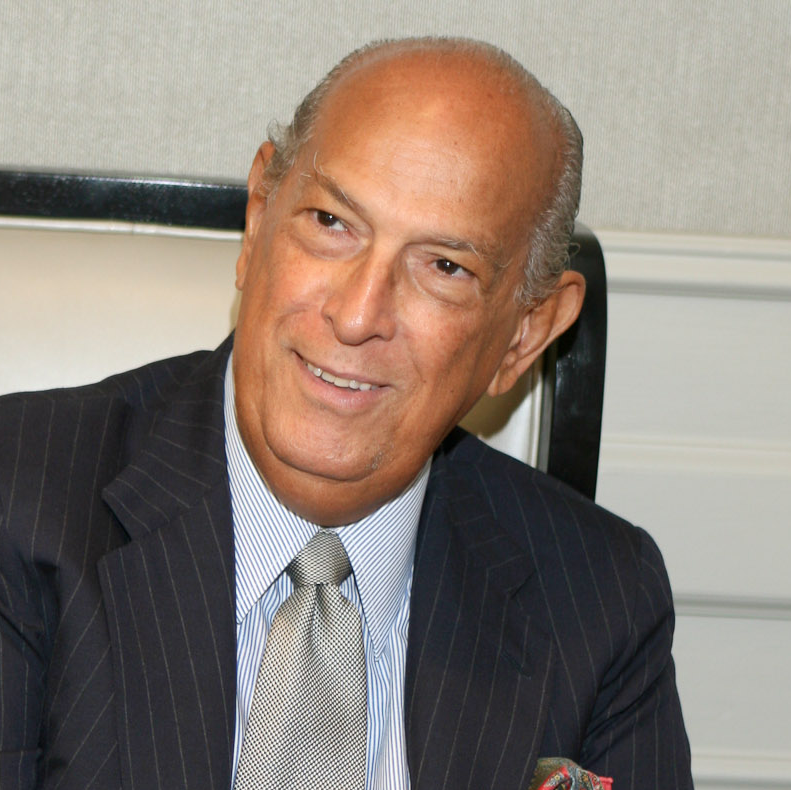 Even though he was rumored to be in failing health in recent years, de la Renta didn't appear to be slowing down. 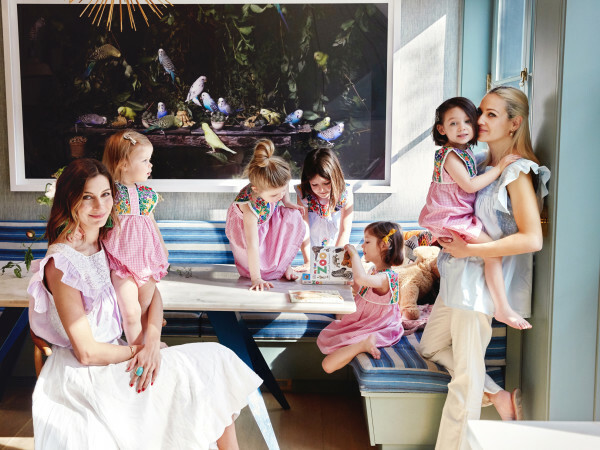 Two years ago he revived his children's clothing line, showcasing it in a runway show before an unusually attentive audience of celebrity moms and their kids in his midtown Manhattan showroom during Mercedes-Benz Fashion Week. "We started using some of our leftover fabric [from the women's collection] and started making dresses and selling them. And I said, 'Why not?' So we started doing it again. And we've been very successful," he told me after the show. He also was the first to reach out to John Galliano, inviting the disgraced Dior designer to work with him on his fall 2013 collection. Although de la Renta was widely criticized for lending a helping hand to Galliano, the collection was praised and some wondered if Galliano would become de la Renta's heir apparent. Instead, the designer turned to Nina Ricci designer Peter Copping, who just last week agreed to join de la Renta. Over the years, as women's roles in society changed, de la Renta's clientele expanded from the ladies who lunch and go to charity balls to include professional working women. His secret? The power of femininity, he said when we talked in 2001. "A woman knows that putting on lipstick and dressing and looking pretty in the workplace is important. And that is what I have always done best," he explained. He also said, even back then, that he had no plans to quit anytime soon. "People ask me, 'When are you going to retire?' I say, 'The day I no longer feel that I have the passion for doing it,'" he said.